Vincent J. Caracciolo, MD is a founding member of First Coast Heart & Vascular Center. Dr. Caracciolo says his main objective in treating patients is to educate them on every aspect of their care, which not only provides enhanced compliance, but allows patients to take ownership and control of their lives. “I believe an informed patient is a healthier patient,” says Dr. Caracciolo. Obtaining his Bachelor of Science in Biology at Clarkson University, where he graduated with honors, Dr. Caracciolo went on to earn his M.D. from St. George’s University School of Medicine. He completed an internal medicine residency at Yale University – Norwalk Hospital Program where he was the recipient of multiple awards including Resident of the Year for 1999 – 2000, Peer Award, Team Care Achievement Award and the Excellence in Emergency Medicine Award. Dr. Caracciolo completed a three year fellowship in cardiovascular disease at the University of Stony Brook, N.Y. “I enjoyed a very active and diverse medical training which included, not only top notch clinical instruction from medical leaders, but also had multiple publications in several medical journals including the Journal of the American Medical Association,” said Dr. Caracciolo about his experiences preparing for a career in medicine. 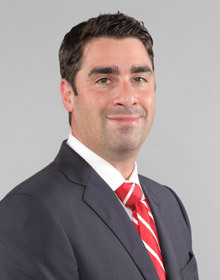 Trained in many aspects of cardiovascular disease including clinical cardiovascular disease, echocardiography, nuclear cardiology and invasive non-interventional cardiology, Dr. Caracciolo has a special interest in coronary artery disease, valvular heart disease, general medical electrophysiology as well as preventative cardiovascular medicine. Dr. Caracciolo began medical practice on the First Coast after practicing in Sarasota County for three years. Enjoying time with his wife Jenna and his three children are important to Dr. Caracciolo who also plays golf and loves the beach and playing lacrosse with his sons. Dr. Caracciolo is ABIM Board Certified in Internal Medicine and Cardiovascular Disease and also Board Certified by the American Board of Nuclear Cardiology.